The Miraculous Medal Association came into existence in order to make known the Virgin Mary of the Miraculous Medal and to transmit the message of the medal – to ask her help in our salvation. It is a catechetical lesson offered by the Virgin Mary to those whose heart is open to her message. The Association is a public association of the faithful, composed of laity, clergy, and members of institutes of consecrated life and societies of apostolic life who wear the miraculous medal and honor it with a Christian and apostolic life, each member doing so according to his/her state of life. Working together, they seek to foster a more perfect life in communion with others, and accomplish apostolic activities through spreading the 1830 message of the Blessed Virgin to Saint Catherine Labouré. It is important to note that the Association is characterized by three distinct marks: It is Ecclesial, Marian, and Vincentian in nature. 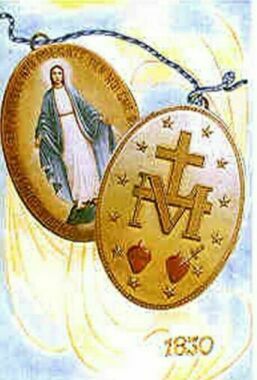 With its own Ends and Statutes, the Miraculous Medal Association was officially approved and recognized by the whole Church in the brief Dilectus Filius signed by Pope St. Pius X on July 8, 1909. This approval placed the Association under the direction of the Superior General of the Congregation of the Mission and the Company of the Daughters of Charity, with the title of Director General. The Statutes were revised and approved once again on February 19, 1998 by the Congregation for the Institutes of Consecrated Life and Societies of Apostolic Life. Meetings of the “new” Association were held in 2001, 2005, and 2009. On the occasion of the centenary of its first approval (1909), the Director General engaged in the careful work of studying and revising its Statutes in light of the fact that the Association had grown and spread to many countries with different cultural and religious expressions. On March 29, 2010, the Director General of the Association presented the petition for approval for the revised Statutes to the Congregation for the Institutes of Consecrated Life and Societies of Apostolic Life. After an attentive examination of the material, the Congregation approved the new General Statutes of the Association. The first General Assembly of the Association of the Miraculous Medal was held in Rome from November 17-24, 2014.